As I focus on this, I hear the phrase "The scandal of the century is about to unfold." I get an image of people sitting around a tv, glued to the news. It doesn't feel tied to just the United States either, there is something big coming about tied to the politics. 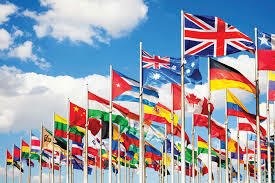 It feels more than just the start of the 2020 election, it is something that I feel really leaves a mark and changes the reality of many people (involving or effecting leaders or several different countries). It is as if the swamp really starts to drain (rather than wishing and hoping, it starts to happen), and the people and spiderweb is made public. My impression is the sealed indictments start to surface, and the magnitude will be shocking. It will extend way beyond certain "Foundations." I still see a global divide with the people. More and more come together to meet in the middle (like there is a shift and they are burnt out of the political divide and tactics that promote division). Some of the "coming together" isn't always peaceful either. I get more and more groups will unite and fight the government. The US and Europe stand out in this fight (fighting for rights, fighting to get Brexit pushed through, fighting to make the government work for the people rather than themselves and fighting to limit governmental control). 2019 starts the campaigning of the 2020 election. I get Trump will end up swapping out Pence (he looks to move onto something else within the administration) for a female Vice President. 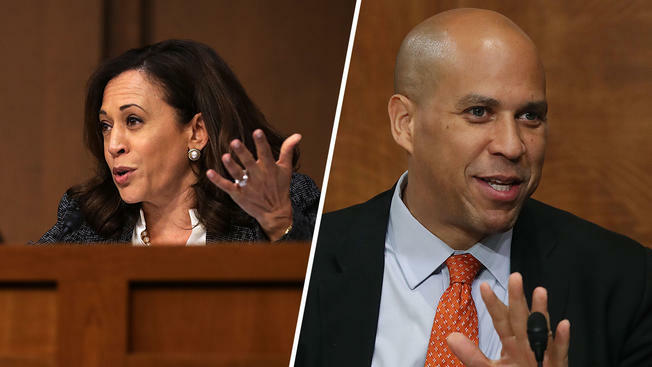 I see the Dems sculpting either Kamala Harris or Cory Booker as a top contender for the democratic representative (there is some kind of energy tied to both of them, I see images of both having "secret" conversations behind closed doors ???). For this, I tuned into a map of the world to see where I was drawn. I first see Australia, and want to look to the northwest (in the ocean). I hear a rumble, and get there will be an earthquake in this region. I do not see a tsunami, but feel it will create an unsettled feeling for any nearby land masses. I want to date this around March or April. I hear the phrase "Taiwan is going to be wet." This region looks to have A LOT of rain. I don't see floods, but see a large amount of rain (not sure if that is normal). The rain itself doesn't look to create a lot of problems, but see it draws in a lot of insects (mosquitoes??) that spread illness. Be cautious of this. There may be a "fear" tied to this, but do your research. I get there is some natural remedy that will ward off mosquitoes (eating garlic??). The "fear" will be worse than the reality. I hear "avalanche" and am drawn to Europe. I don't see a specific location, but head any warnings if you plan to hit the slopes. It feels tied to drastic temperature increases and decreases within a short amount of time. Just be cautious. Much of Russia looks to have a brutal winter. I see lots of snow, especially in the northeastern quadrant. When I focus to Europe, I get flooding will be a huge issue. I'm not sure if the flooding has some impact on sewage, or water drainage, but I see (and small) a stench of standing water. This looks to be a big problem, and it may even require the aid of other countries. South America.. I immediately see intense sun, and people look to be hot and sweating. The summer looks to be hotter and drier (lack of rain) than normal. I hear the phrase "heat advisory" which is a big concern to those that do not have air conditioning or people with health issues. Oddly, the east coast seems to be more affected by this as opposed to the west. The United States has a lot going on. The winter looks rough. It is partly because of the harsh cold and snow, but more so because it fluctuates so much. It can be unseasonably warm, and get a cold snap out of nowhere. 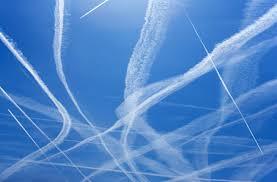 A lot of this is man made (thank you chemtrails). The fluctuations keep our systems weaker, and prompts the push of "lots of immunizations- flu, shingles and pneumonia." Even regions that normally have a milder winter will experience more cold and snow than normal. California still feels dry. There is something going on there, and even the PTW (Powers That Were) aren't sure what they are doing with it. I get there is some kind of plan, but no one can decide. CA gets a little rain in the spring, but not what they need. I see some "developing" occurring in the fire ridden areas, and a good portion won't be the green space that was destroyed. Lots of energy surrounds Yellowstone, but I don't see any explosion. I do get there is some kind of "off gassing" occurring. I'm not sure if there is an odor (I get there is), but the animals sense something is off there and they don't like it. The beginning of 2019 looks to have a solid economy. Stocks look (as I see a graph) stable with minor fluctuations that ride out ahead in the end. I do get after the 2019 campaigning starts, big companies that have bought up TONS of stock with intentionally pull from the market and let it sink to make Trump look bad and help the dems get a competitive edge. The inverse looks to happen with precious metals. I see them stable, but still suppressed. For example, I see silver fluctuating between $16 to $20 an ounce with occasional pops above and below. Near October (ish) as the stock market becomes unpredictable, silver will slowly incline. It doesn't get "true to value," but rides around $28 to $32 (maybe higher). This is largely in part to China influencing international trade to occur in gold (or precious metals) and trying to discourage the dollar (passive aggressing the US as I will discuss later). Cryptos are still hot, but are volatile. I get many new ones will emerge. Be cautious of scams (do your research), because I get many are "premature" (?) going to market. Many retailers will open up to accepting cryptos (specific ones such as Bitcoin) as payment, but there is some kind of transaction tax tied to the purchase. Russia, China, N Korea and Europe will all be in the news. I hear that "Sometimes even the strongest buildings have to crumble before a fortress can be built." I feel this is symbolic with much of society expressing social unrest in pockets all over the world. People are more determined that ever to evoke change, even with it starting small. The migrant situation is changing the landscape of Europe. Their economy struggles, and I feel like someone has to come in and save them (they make deals with other countries??). Europe especially struggles once Brexit finalizes. China feels the impact of tariffs and the US securing intellectual property. China is strong, but they will have to re-position themselves. On the surface they appear to agree with the tariffs, but they are going to passively get back at the US. I see a major unfolding eventually. The US is good at trying to forecast what will happen, but it still doesn't stop them. It does not feel like a physical confrontation, but rather a way to try to use "gold" as an international currency versus the dollar to hurt the US. Something big emerges with this. Russia feels strong. The economy looks good, and Putin stays strong. I see Russia being in the news, but nothing seems to impact Putin. The "Russian Collusion" will still be a popular term, but nothing significant will emerge from this. India looks to be one of the strongest emerging countries out there. I see them being an economic player for 2019. I hear this country is a "silent grower" in the economy. More and more people awaken each day. We will continue to feel Wave X surges, and they will be more frequent and more intense. People that are sensitive will not only feel the affects of the energy surges, but they will start to open up (I hear) clairaudiently and clairvoyantly if they aren't scared of this gift. It really is a year for transformation. Kundalini energy feels to increase as well. This is a huge step in ascension as we move and shift our chakra energy. This energy shift will trigger lots of emotions, and encourage a purging a past traumas to enable people to more forward. This could prove to be very emotional for some. Just remember to honor your emotions and then allow them to pass freely once they are no longer serving you. UFO events over Alaska, Greenland and New Zealand will be on the rise. It looks like ETs are becoming even more brazen with showing themselves. These will be big events that the governments try to hide, but the "story" will make no sense. 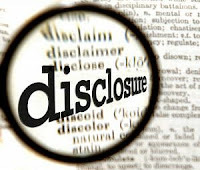 Disclosure still feels like a challenge. Some subtle disclosure and even misspeaking in the public (Freudian slips) will occur. People still need to seek out alternative news sources to get full well-rounded information. Good news. Thank you, Lynn. I've been watching Qanon X22 report and such. SHTF is about to happen. Even a mentioning of arlington closed. Really exciting. Are you planning on doing a reading about the economist 2019? interesting things are unfolding on a deeper level. happy holidays and a very good new year in advance everybody. Thank you for your great work … such a lift for us in these dark times. Just wanted to ask you about the economy … if the economy crashes, will there be a jubilee since the money markets were a scam anyway. 2019 will be a blessed year. Thanks so much for the comments. I will address some of the comments and questions when I have more time. Happy New Year! Thanks for doing this 2019 read, Lynn. A lot of people don't realize how much was going on behind the scenes this year that will be finally emerging next year, like the tip of an iceberg. I wouldn't be surprize if a lot of big name Pols got arrested timed with Pesident Trump's flight to Iraq, so we'll see. Mid-January is also shaping up to be a critical time on the Q map. My wish for 2019 is that the terms "liberal, Conservative, Democrat, Republican" become passe because they no longer fit the new paradigm. There is such an explosion of information and so many good people like Lynn helping to spread enlightenment that there's no going back to the old controlled limited media way people were once informed and mislead. However there is also a parrellel network of hate driven "social warriors" too dumb to realize they've become the new Fascists while clinging to the illusion they are "progressive." These are the ones who would vote for neophytes like Booker or Harris, and so much of this is a continuation of the race tensions and baiting campaigns that increased so drastically under Obama, the president most of us voted for to make racism a thing of the past. Any ideology based on hate, victimhood and fear is emotional manipulation designed to get people not to use their brains, created by those who feed off those negative energies. It will be more important than ever to be well informed and find reliable sources of information. Some youtube channels and people I'd recommend are the Sgt report, PrayingMedic, In Pursuit of the Truth, Spaceshot78, Youarefreetv and Inthematrixx which recently put out an amzing series showing how most of the banks and industry of America is owned and controlled by the Payseurs who decended from the French monarchy.Corey Goode and David Wilcock are also some great sources. There are also some great youtube channels that cover a wide array of important spiritual and political topics like Edge of Wonder and Woodward TV. It is really an exciting time to have such access to so much information that was previously hidden. Thanks again, Lynn for a great reading! I'm very curious to see who Trump will choose for VP. I think a female would be a smart choice, politically speaking. As a side note on the economy, I remember you gave a past reading (was it in 2016?) where you saw a "Christmas tree" in conjunction with the timing of a stock market collapse. @Robert - great comments as always. Thanks for taking the time to share your observations and links. I agree that those political terms have outlived their usefulness. The classical definition of all these classifications have been so bastardized and turned upside down as to be virtually meaningless and/or maliciously misleading. In fact, I think we're going to need a new dictionary once the cabal is taken down! I am glad this important post wasn't put under the paywall Patreon, some of us can't afford Patreon. Like I asked in the other forum, is this for 3D, or 4D, or...? @Warcy ~ Patreon doesn't cost anything at all considering the info you're getting -- and the info you've already received from Lynn for free over the years. @warcy- if a post does come up on patreon that you want to see, you can subscribe temporarily for 5 dollars and then unsubscribe. Plus at that time, you will be able to view all past posts there until you unsubscribe. Personally I'm on a fixed income but value her info very much and consider this a great deal. It will be interesting to see what the scandal of the century is going to be, considering all the ones we have already seen. Whatever it is, it's going to be a good one. Do you have a timeline when it might happen, perhaps before Summer or after Summer etc..? Thanks for your blog Lynn. I hope that Harris and Booker run. We can chew them up and spit them out within a couple of months. Is the political scandal going to have anything to do with the mysterious envelopes received by 5 couples (Obamas, Clintons, Bushs, Bidens & current VP Pences)at George Bush Senior's funeral? That's got to mean something big, judging by their reactions. Merkel is openly calling for European leaders to ignore and betray the people they represent, who voted for them and who pay for their actions. She's calling for totalitarian dictatorship and the end to sovereign nations. Open borders is their main weapon. @La Realidad: I do see the scandal will have something to do with the envelopes, and a whole lot more coming to the surface. @Robert: Thanks so much for all your sharing! You bring up great points and I love the info you share! Thanks for all that great info Lynn. Very interesting. Can you have a look at the ridculous drone farce over Gatwick what do you see on that front. Never seen such a ridiculous carry on in all my life. something iffy about that. Mayb a fals flaf for some reason. Perhaps to deflect something to do with Brexit. Thank you Tara. I will put this on my draft list. That does look like a strange thing that happened! I enjoyed your 2019 post. Your predictions ring true. I've read about the children, church , politicians, royalty - hopefully that is all getting shut down. I also think there will be indictments and tribunals. My question is back to the Dinar. ALL I have read says that it should revalue to pre-war value of roughly $3.21 ish. Do you see this happening? I read what you said but you talked about it as a diversity means. I am hoping it revalues enough to pay off house and bills. Any thoughts? You were correct in your prediction regarding an avalanche in Europe!! Patreon: The Economist - Happy New Year! The Wall Showdown, What's Going On? Ashtar... Where Did He Come From?